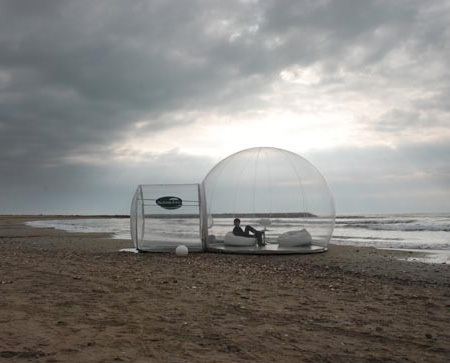 Inflatable bubble-shaped camping tent designed by Pierre Stephane Dumas. It’s a giant hamster ball. Doesn’t seem like you’d be able to get any fresh air inside there. and how are you supposed to pack it all up for a camping trip. other than those, it’s beautiful. i’d love to use it. i like the idea of it, but it does somehow take away from the whole experience of camping. The Quick Brown Fox did something? Rain?!? What about sunshine in the AM? Cool idea though. I want to know how they got that Christmas tree inside their tent! transparency .. OK, but to this level!! 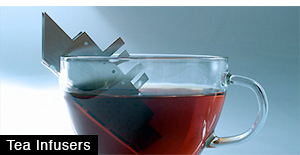 Nights would be ok, though it would probably steam up with condensation…. The midday sun would be killer – 180 degrees inside? Maybe with air-conditioning and an air handler, but then when I go camping I’m there for the fresh air. Other than the harsh realities of bubble camping, it’s a lovely idea. 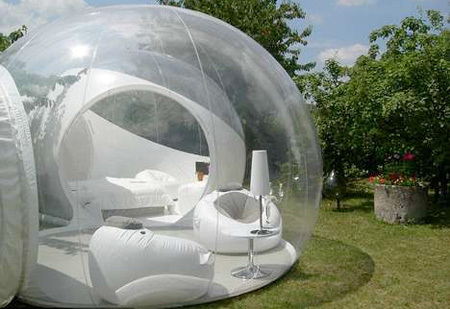 Try sleeping under the stars sometime sans bubble. scratching head….why is this thing as tall as a tree? how are u going to move the furniture inside to the place u want ?? 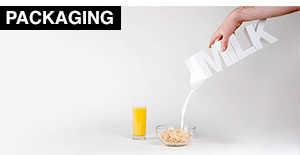 the idea is fantastic though…. can enjoy the scenic view outside without being there. i question how they get any air circulation in there, not only that, but how in hell your going to set it up and take it down again. The pics reminds me of a couple of old movies that I saw as a kid. The movies were made in the 1960s. One was about a young woman living in one. The second was about a prince or rich guy that lived in one. Does this ring a bell to anyone? Looks too hot. I wouldn’t sleep in a plastic bag. Does this remind you of the boy in the bubble by chance? – Did I mention it must get HOT inside? Still, pretty cool. You get the “under the stars” effect (depending on condensation) without bugs/rain/wind etc. Oh, how does it stay inflated? Do you need to keep a pump running to have higher pressure inside? That would be pretty annoying. Hmmm. Hot and steamy and how do bad smells get out? Can you imagine the funky smells in there after a few days! I think it could have it’s uses. I can see people using it more in spring and fall than in the middle of winter or summer. I am sure they have some way for you to hang something so you can change in privacy. Also, this seems more like something you would set up on private property and leave up, sort of like a gazebo more so than an actual camping tent. I think being able to sleep in it is just one of the perks. As for the inflation and ventilation, it is most likely a double layer of the plastic that you are able to blow up with “holes” for ventilation in the actual structure itself. Does anyone watch spongebob?! Yeah, Sandy’s house?? Maybe I’m a 22 year old who watches cartoons. It completely looks like Sandy’s house!! Great place to fall asleep…it just looks like a very bad place to wake up. with the sunlight, the heat and all the people looking inside. It would be perfect against mosquitoes!!! Talk about greenhouse effect. Really cool, though. I would hang out in there at night, for sure. I <3 spongebob, and I’m 28, nothing wrong with that. Also, to the people who said negative things, yeah, it’s a novelty. Thanks to Toxel for showing us it. it reminds me about Sandy’s house in Spongebob Squarepants cartoon . Ha! I think it would be awesome in the backyard as a greenhouse you can put up and then take down when the weather is more stable. It would also be pretty awesome for small special events. I think its a lovely idea and i would love to have that tent in my back yard looking at the stars thinking about things like my life and my friends and have some time to myself also it would be fun to play with my friends out camping and have some fun who ever made this is very smart and i would like to meet him or her some day!!!! whats the price on this thing anyone know? Where can I purchase one of these and how much do they cost??? The tree is not in the tent by the way. It is on the other side. Just looks that way! This great! Is this out in the market yet? How can I get one or two of those? They look amazing! Do they sell this things but if you think about it you would not have any privacy like to change and how are you suppose to use the rest room ? And it would so HOT you would not be able to sleep I just wont to know how much this people think these are worth? yes they sell it – $5000 euros. Bit pricey! 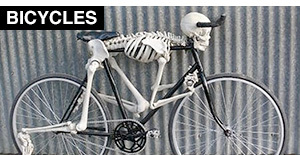 It obviously has an air pump. Probably one intake and one out. You can see the pump on some of the pictures. First picture on the right you can see it to the back left side of the bubble(looks like it has a hose and a little square box) Then on the second picture you can see one on the right attached to the bubble. I’d prefer getting rained on. Looking at the original French website, there are screens that attach to the inside for privacy. The heat problem would need a solution, as would a way to fasten it down against high winds. There would have to be a way to ventilate, otherwise the humidity from your breath would soon have you thinking you were in a sauna. (I slept in a plastic tent ONCE – ended up sleeping half on the ground outside in the rain with the ripped out mosquito netting wrapped around my head because it was preferable to being inside it.) Therefore, an electric supply would be necessary, which precludes real camping. Unless someone imports it, you would have to pay shipping from France plus customs duties. Probably not cheap. The price is $8800 euros per room. You can order with or without privacy white sections (not removable). It requires a constant electrical supply so no rough camping…this is meant to be installed and left in place, not very portable. It collapses flat, but does not fold smaller than the base floor size. There is a ventilation unit that runs continuously for fresh air, keeping the bubble inflated, and filtering air, controlling humidity, and adjusting temperature. The air exchanger keeps it the same temperature as outside, although perhaps with a permanent installation you can include heating or cooling. The air unit is about the size of a suitcase. You can rent these rooms from some exotic hotels for about $150 euros per night. Again, NOT A TENT, this is an outdoor observatory that keeps out the bugs and the dirt. I like these a lot! If the material is durable enough to last longer than visqueen or can have a small Swiss they fireplace would be even nicer but with a few long enough solar electric and or hot water made with pliable blow up type materials would be even better so there’s no smoke or harmful fumes to worry about. 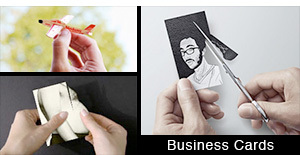 Thank you very much to the one who posted our pictures ! 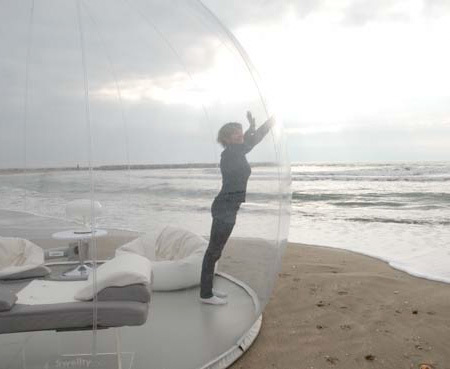 These amazing inflatable spheres are distributed in exclusivity by CASABUBBLE, in California. You can reach us at 805-426 52 78, or better… Send us an e-mail at info@casabubble.com and we will answer the same day ! 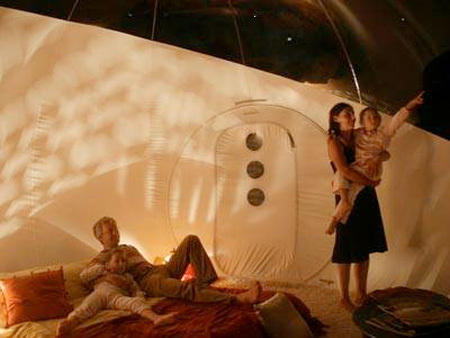 Our bubbles are the perfect missing bedroom you can set up in 30 minutes in your backyard or in the wildness as a nomadic power self sufficient bubble. 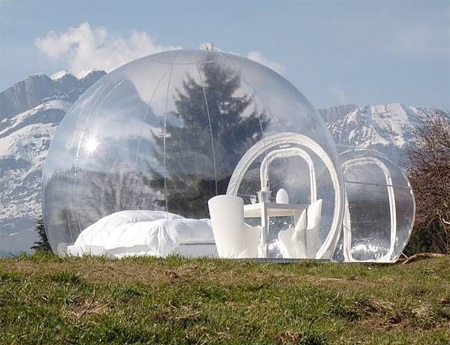 We will have soon a network of B&Bs where you will find bubble to spend a night under the Milky Way ! If you want one with privacy, the 3rd, 4th, and 5th pictures (the ones with a white part on the side) are the ones that offer it. They solid white plastic goes up quite a ways behind the bed and some designs have an entire other room with it most or all the way up the sides. ok so if i have to get naked every one can see me.I live in florida i get sun burnt,But looks like and instant green house tho which would be awesome. There isnt a tree in there, its the angle of the picture, there just happens to be a tree behind it. You can see the tip of the tree sticking out of the top. – How durable is it? Would you need to patch if it got a hole? – how heavy is it when laid flat? – where can we purchase this from? Can we get it in Canada? Would keep bugs out. MESQUITOES!!! I would love to have one in my yard! I would make love in it at night under the stars on a cool evening. And I am 59 years old! 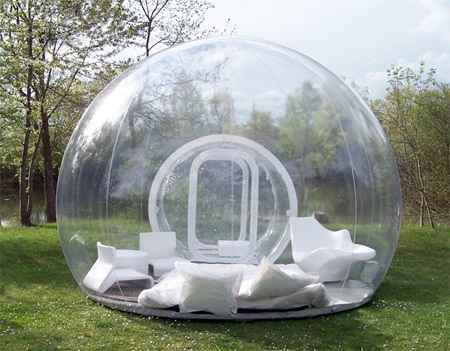 I want one for the back yard…no mosquitoes while watching the stars at night! Inflatable? 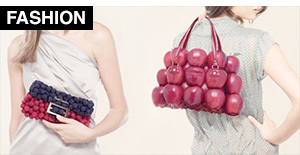 It doesn’t make sense to me, because you need air circulation, but then you need to hold the air in to keep it inflated. I’m sure there is a continuous air system like those bouncy inflatable structures that people rent for children’s parties. P.s. how much is it? You could connect a lot of these together & then plaster them to make them solid & run electric & pipes for water & you have a home, but just lay a foundation first. Also these could be used as green house to grow plants or food inside, they would be perfect. 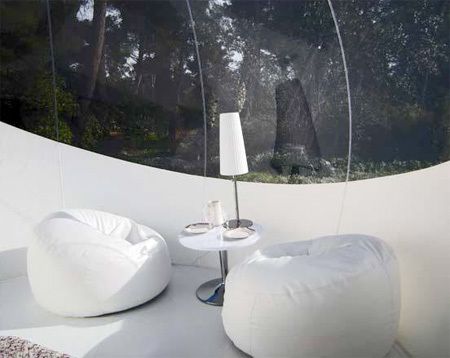 But also would be cool as just a tent, but so cool & a futuristic tent. I love it & want one. Sleeping in it and it deflates. can I get a price sheet , or a smaller size? I brought my table lamp but wait…where is the powerpoint?? It looks very cool. I would love to spend a couple summer nights in it. Or maybe even try a snow day. But on the hot summer days it would be extremley hot inside. The sun heating it up and no windows to open. Probably better for warmer spring and fall. 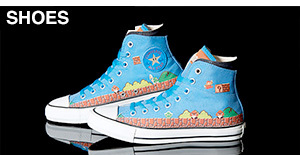 Wow love it kind of kool and awesome I bet the price is awesome to haha …….expensive!I couldn’t afford it Iam sure. the tree is not in the tent! How do you get the furniture inside?